Rhino Painting strives to provide the highest quality of workmanship and outstanding customer service in the most cost effective manner. Our goal is to exceed your expectations, The person you meet for your price is the same person who paints your home. We pride ourselves in our work we look forward to making you the customer happy and our jobs look good, Rhino Painting consists of painter who take pride in their work, have worked together for a long time and all have the same love for painting. We invite you to become one of our many satisfied clients. We will be happy to meet with you, perform a professional evaluation, answer your questions and write up a proposal based on your home's unique needs. We'll even provide you with a fixed price for the work and discuss payment/financing options before we leave! So, are you ready to get started? +ADVANCE Painting & Design, LLC is guided by one simple principle: Provide you an exceptional customer experience and a finished product that exceeds your expectations. We do this by listening to your design vision and bringing it to life. If you are considering a painting project or are currently searching for a painter, please contact us today to receive a free, no-obligation quote. Beautifulwalldecals.com is here to provide you with high quality, beautiful decals at an affordable price. Our selection is fantastic and our designs are stunning! Welcome! At Metz Painting, our goal is to express your individual style through the colors inside and outside of your home. We strive to make the process easy and enjoyable for you. We are a full-service painting company with a wide range of experience. We can help you with all of your painting needs ranging from interior/exterior residential repaints to interior/exterior commercial painting. Although our business name is very new, our experience does not reflect the same. We formally were sub contracted by Brighter Image Painting for 6 years and decided to focus all of our attention on building a painting business of our own. Over this time we have become very knowledgeable and have acquired a superior talent in painting. Metz Painting is a small business owned and operated by Toby Metz. Our excellent reputation as professional painters and long list of satisfied clients attest to our superior craftsmanship, attention to detail, clear communication, honesty and integrity. Interior design, painting and faux finishes. Wallpaper Services, staging, and window treatments. 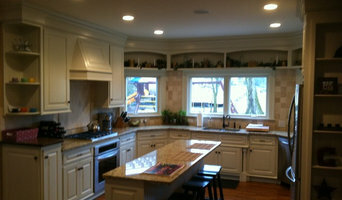 Here at Kyees Construction, LLC, we have over twenty-one years of experience in painting, drywall, and trim. We also offer great prices for our work. Trading Phrases specializes in vinyl wall lettering and design- with over 3000 designs, on staff designers, the highest quality products & more colors than anyone on the market- why would you shop anywhere else? With over 10 years of experience in the home improvement business, we provide quality workmanship for the residential market. EME is a partnership between Scott and long time business associate Zach Batty. Zach was a manager at the Sherwin-Williams Company for over seven years and serviced metro Columbus. Having been trained by the leader in professional paints and coatings Zach brings expertise in product knowledge, customer service and the latest design trends. Together Scott and Zach have combined their knowledge of the paint and drywall markets to give Columbus the most comprehensive service company in the industry. From the time you call until the last day of the project there will be focus on what you the customer wants and the best way to achieve that goal. Admirable Painting is known throughout Columbus, Ohio as a trusted and talented painting company because of our attention to detail and the experience that we bring to every job. What makes us different from other painting crews? Our team has an average of 10 years painting experience, allowing us to provide painting services that are properly organized and properly finished. We offer both conventional and specialty paint finishes on interior and exterior projects including house painting, apartment painting, plaster repair, vaulted ceilings, basement painting, siding, and much more! We always maintain a neat, clean work environment. We understand that the painting process can be unsettling, so we do our best to keep job-sites tidy and we strive to finish the job quickly and professionally. We pride ourselves on the level of service that we provide our residential and commercial clients. We are Lead-Safe as Certified by the EPA. We have all the proper training and certifications to help keep you and your family safe from the dangers of lead-based paint. Much of our work is referral-based. We hope that this is a reflection of our commitment to client satisfaction. We are a local company that proudly serves residential and commercial customers throughout central Ohio. Paint and wall covering contractors are experts in the specs, application and removal of paint, wallpaper and other wall coverings. They can help you choose the paint color and finish, wallpaper style or specialty covering that best suits the needs of your Westerville, OH home, whether the job is for the interior or exterior. In addition, they can strip off old paint or paper and prepare surfaces through sanding, skim coating and other processes. Many can handle decorative paint treatments and materials such as plaster. A paint and wall covering contractor might work closely with Westerville, OH interior designers, builders and others, too. Here are some related professionals and vendors to complement the work of paint & wall covering dealers: Interior Designers & Decorators, Artists & Artisans, Window Treatments, Carpet Dealers. Find a paint and wall covering contractor on Houzz. 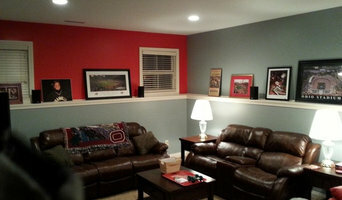 Narrow your search in the Professionals section of the website to Westerville, OH paint and wall coverings. You can also look through Westerville, OH photos to find examples of paint jobs and wall coverings that you like, then contact the professional who worked on them.